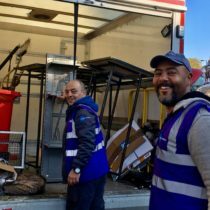 At angel.london we want to ensure that you are aware of what’s going on in the BID area and which events will be potentially bringing customers to your business. 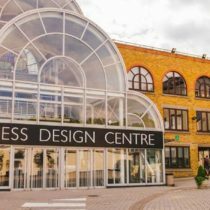 Here’s some details of the conferences and exhibitions taking place at the Business Design Centre in June 2018. 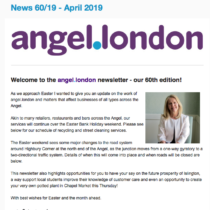 Keep a note of these events so you can offer the best welcome to those coming to Angel! The Mindful Living Show is a unique event dedicated to the art of mindfulness and meditation. With exclusive content for both beginners and experienced practitioners, the event looks at how mindfulness can benefit your life, health and wellbeing through group practice, learning, and inspiring and relaxing features. A unique trade show for the international greetings industry, PG Live is proud to present thousands of original designs, exciting ranges and exclusive show offers from the top 250+ publishers, artists and designers from around the globe. The UK’s leading trade exhibition of tableware, housewares and small domestic appliances. Cruise Job Fair is the largest recruitment for the cruise industry in the World. Visitors have an opportunity to meet recruiters face-to-face, apply for jobs on-board cruise ships, get valuable feedback and learn about training opportunities. Bellavita Expo London is the biggest B2B fair that promotes the best of Italian food and wine in the presence of thousands of operators in the sector (importers, distributors, GDO buyers, small-medium distribution, restaurateurs, chefs, sommeliers) and provides educational including master classes with starred chefs, seminars and debates on market trends. The Number One Event To Discuss Connectivity in the United Kingdom. The event for architects, designers, speciﬁers, technologists and their clients. Annual conference for Financial Advisers to explore how Technology can make their businesses more efficient and profitable. This summer, New Designers gathers more than 3,000 of the brightest and most radical new creative minds under one roof to launch the next generation of thinkers, makers and disruptors onto the UK design scene.